If companies want to succeed in the future, they need to create operations that champion diversity. As any avid reader knows, the general consensus is that diversity is good for business. Research shows that diverse teams are more productive, profitable, and innovative, performing at a higher level than less heterogeneous ones. Further, consumers desire more diversity in their everyday lives, in the media they consume, the governments that serve them, or the companies they patronize. Yet improving diversity is not so straightforward. Even well-intentioned organizations have trouble achieving these aims and struggle with how to bring about necessary change. Should there be a bottom-up approach, fueled by mass activism and demand? Or a top-down path, mandated by leaders and enforced by compliance departments like HR or the EEOC? As you may have guessed, the answer is both–but achieving a balance isn’t exactly straightforward. By themselves, both methods are limited and come with disadvantages. But instead of obsessing over which approach to take, perhaps it’s more important to focus on the systems and consistency that can handle both sides of the equation. Throughout history, grassroots activism has transformative effects, toppling tyrants and changing oppressive regimes for the better. Even so, incumbents can wield a lot of power, slowing or blocking change almost indefinitely. Consider video games, a space traditionally unfriendly to those who weren’t straight white males. The industry has grappled with its fair share of controversy, most notably Gamergate, which saw female developers harassed, threatened with harm, and driven from their homes. Yet female programmers and gamers continued their activism, and as a result, the gaming community is beginning to recognize the need for diversity. In a 2017 survey, the International Game Developers’ Association (IGDA) found that 81 percent of developers rated diversity as being very or somewhat important (an increase from 78 percent the year before). While it appears that creators do recognize the need for diverse stories and production teams, game companies still continue to struggle with diversity. The IGDA found that 14 percent reported their companies had no diversity or equality policies; of companies with inclusion policies, only 56 percent of employees felt that such initiatives were enforced. Additionally, only 21 percent of the programmers surveyed were female; the vast majority (74 percent) were male. This gender disparity has unfortunate effects, such as a lack of complex female characters. In a survey of 118 games released at industry expo E3, only 8 percent of featured games (9) centered around female protagonists. Considering that the majority of gamers are now women, it is strange that companies don’t seem to prioritize diversity. Even if games are finally becoming less sexist, culture problems persist. Just this year, executives at two large video game studios were accused of either turning a blind eye to hypermasculine, uncomfortable company culture or actively aiding and abetting it. Even at a conference on diversity in the video game industry, a presentation about hiring more women was presented by an all-male panel–a telling indicator of how tone-deaf the industry still is. To borrow an analogy from economics, perhaps diversity can trickle down from leaders through the ranks. But without a coordinated effort from employees, such a path may not be as successful as one would like. Take Silicon Valley, for instance. Despite its liberal reputation, sexism and racism are more widespread than one might expect. For instance, women-led companies get just 2 percent of venture capital funding, while minority representation in tech has declined at all levels (white men and women are twice as likely to become executives as Asians are). Anecdotal evidence, such as engineer Susan Fowler’s tell-all post on sexism at Uber, is abundant. All this has led to demands for change from executives, from Ariana Huffington stepping in to depose former Uber CEO Travis Kalanick (and putting in place a new code of behavior) to Google CEO Sundar Pichai, himself an immigrant, advocating for diversity. It’s quite clear that leadership understands there is a problem and is taking steps to address it. What’s less clear is the long-term effectiveness of these efforts. In their 2018 State of Diversity Report, software company Atlassian surveyed over 1,400 employees across a range of tech organizations. 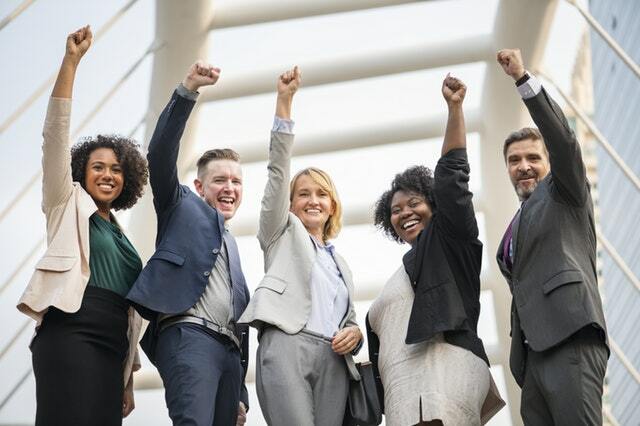 Even though 80 percent of respondents agreed that inclusion was crucial, almost 40 percent believed that their company was already diverse and inclusive enough, and did not need any improvements. Further, researchers found that people were tired of talking about diversity and inclusion, frustrated by the lack of meaningful action, and overwhelmed by the sheer number of issues. As a result, many employees felt burned out and confused. In many categories, from engaging colleagues of different backgrounds to taking part in discussion groups, participation dropped. This year, only 19 percent attended an employee resource group, compared to 29 percent from the year before. Well-intentioned initiatives didn’t go far enough to address the shortfall, workers felt helpless to tackle a huge problem, and most inclusion programs failed to build workable solutions and buy-in. As a result, less than 30 percent of employees from underrepresented groups felt that they were included or belonged, with negative effects for retention. This finding isn’t surprising. People were demoralized because diversity and inclusion weren’t adequately explained, and fatigued from a lack of progress. Despite good intentions, diversity was improperly envisioned as quotas and numbers instead of a wide-ranging discipline. To be sure, promoting diversity and inclusion is not easy. It requires not only uncomfortable conversations, but also a clear vision and a roadmap that can convince everyone to go all-in on inclusion, as well as structures and processes that engage people at all levels of the organization. Remember that employees can’t just “do diversity” simply because the boss says so; instead, there has to be a systematic, thoughtful approach–easier said than done, even for the most progressive of companies. From prior experimentation, we now know that monetary incentives tied to them can potentially succeed where other efforts fail. In The Atlantic, Liza Mundy cites companies like Pepsi and Intel as standout examples–ironic given that just a generation ago, Intel was home to the abrasive principle of “constructive confrontation”, while Pepsi was heavily criticized for a police-brutality themed commercial featuring Kendall Jenner (though the company did respond quickly and decisively). Mundy explains how Pepsi tied bonuses to diversity. When executives couldn’t achieve the 50 percent diversity in new hiring, their bonuses took a hit, prompting them to take action. From 2001 to 2006, women and minority executives increased from 34 percent to 45 percent. Intel, for its part, set a series of systems into place: initiatives to gather data from a “warm line” for employees to report problems like conflicts or lack of career growth, and meetings with managers to understand why departments would lose certain demographics (like women). Both firms have taken a very thoughtful, principled approach to diversity, rather than the well-intentioned, if disorganized, methods that other organizations have. Instead of mandating sensitivity training or seminars, both Pepsi and Intel codified their efforts, empowering all to tackle the challenge, whether they were leaders seeking to boost inclusion or employees troubled about their next steps. Because it is such an easily misunderstood topic, it’s far easier for companies to “talk” about diversity rather than practice it. Without a concrete framework and strong systems, organizations will continue to speak vaguely about the value of diversity rather than taking meaningful, lasting action. Yet diversity doesn’t have to be the graveyard of good intentions. With a logical process that balances a top-down and bottom-up approach, companies can successfully diversify their workforce–and seize the copious benefits that follow.